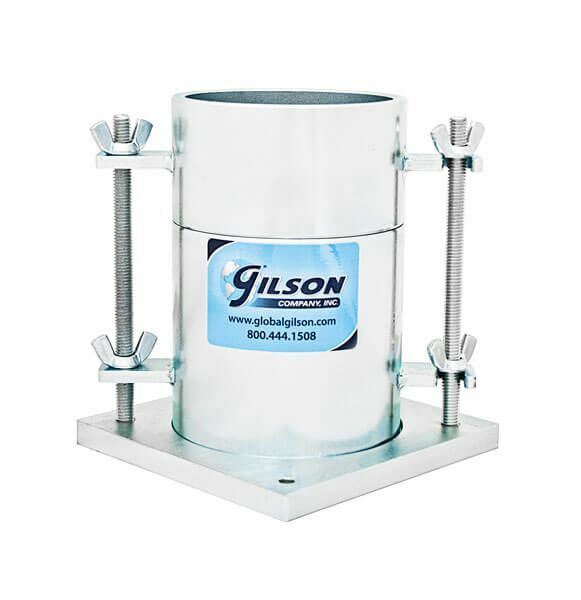 4in Soil Density Mold Sets - Gilson Co.
4in Soil Density Mold Sets are used when compacting soil samples for standard density/moisture (Proctor) tests. These molds can be used alone with Soil Compaction Hammers and will also fit the HM-530 Mechanical Soil Compactors. 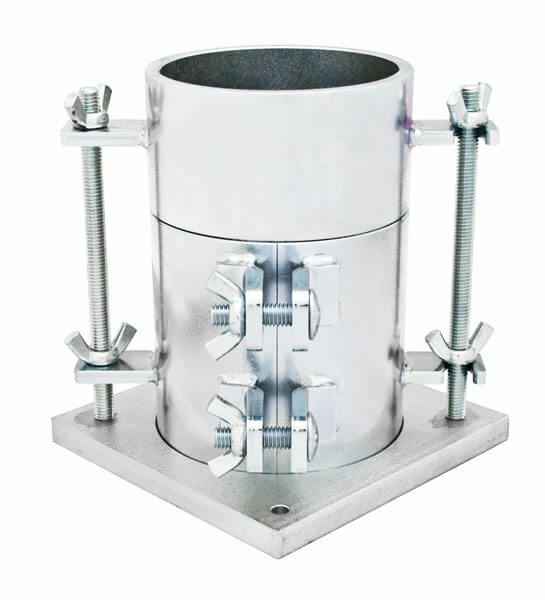 Complete Mold Sets include a 4x4.584in (102x116.4mm) IDxH mold, detachable extension collar and base plate. The rugged heavy steel sets are clear-zinc plated for rust resistance. Mold volume is 0.0333ft³ (943cm³). Mold Body, Base Plate and Extension Collar are each also available separately. Sets are available with solid molds, designed for use with sample ejectors, or as vertically split molds that spring open slightly when clamps are released for easy sample removal. Mold Dimensions 4.584 x 4in (116.4 x 102mm), H x I.D.